I’ve owned a computer since I was nine years old. That means that I’ve owned computers for… a lot a years. 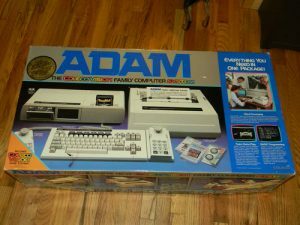 Anyhow, the first computer that I cajoled my lower middle class income parents to buy me at an enormous expense to them was the Coleco Adam. This computer was by far one of the least successful home computers of the early 80’s era. The Adam was a souped up Colecovision. 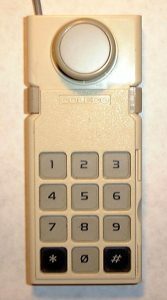 Since home computers of the 80’s were basically the same hardware as video game consoles with more memory and writable storage media, companies like Coleco and Atari went full balls into the expanding PC marketplace without any hesitation. As we are well aware today, this didn’t work out so well, but while it was going on kids like me got to play with souped up video game systems that you could program. I remember the day that I got my Adam. I was in the third grade, I came home from school, walked into my room and there on the floor was a huge box with all the awesome Coleco styling that said “ADAM COMPUTER.” I was so freaking excited, this thing came with a CPU that had a tape drive and could play Colecovision carts, a giant printer that was actually a computerized typewriter, a keyboard, and two of the weird Coleco joysticks that had keypads on them. If you wanted to write any programs you had to boot the basic interpreter with the basic tape that came with the system. This was one of three software titles that I had for my Adam, the other two were Buck Rogers and the planet of Zoom, and Dragons Lair. Not a lot of software, lucky for me the typewriter style printer was as loud as a machine gun to make up for the lack of software. In addition to all the other features, the Adam computer was humongous and required a desk all its own. My parents sprung for this desk and I used it all the way through high school, so I guess they got their money’s worth. I super wish I had a photo to share of this Adam setup, you kids would not believe the scale of this thing. While it wasn’t the best or the brightest computer ever, it was MY computer and so I loved it. 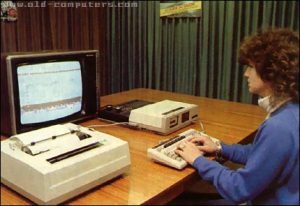 I learned my first programming concepts on it, I played awesome games, I imagined the future with that Adam. I feel like we (me included), take the miracles of the information age for granted at this point. I mean I say and think things like: “This high definition video is taking way too long to download/play on my phone.” At times when I have these twenty-first century problems that at one point I used to wait for like five minutes while basic booted up so I could write a program that asked me for my name and then output the text string: How are you today Gabe?